THE FOOD REVIEW AT MENJANGAN DYNASTY RESORT - The best thing about staying at the luxury hotel is the food, from buffet to all you can order breakfast, from something home made to chef speciality of the day. 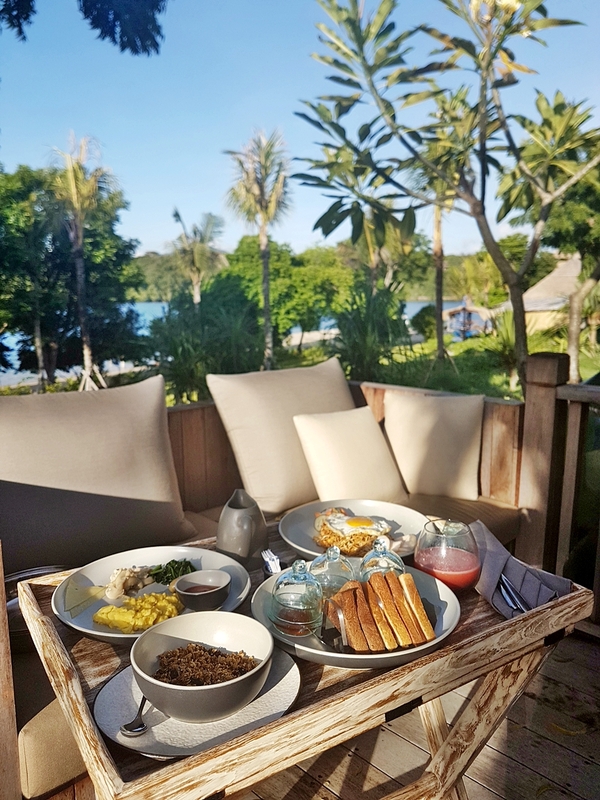 But in Menjangan Dynasty Resort Beach Camp & Dive Centre, the beacfront breakfast is on point, some of you even can't have it everyday, so enjoy it won't last. You can choose to move your morning body to Pasir Putih Beachclub & Bar and have a breathtaking view of Banyuwedang bay, and it's not only for the guest, the walk-in visitors is welcome as well and I believe there is no other choice to having simple breakfast yet beautiful beacfront day other than in here at Pasir Putih Beachclub & Bar, while you are around in the West Bali. Maybe if you want to explore West Bali National Park or even diving around Menjangan Island after you had your breakfast. In 2015, I started an early morning journey from my hotel in Kuta at 4 AM, and arrived at the White Sandy Beach arround 8 AM before we headed to enjoy the Menjangan underwater, and now in 2017 there is a decent restaurant that you can enjoy, before and after your journey, because most likely you will passing the area of Menjangan Dynasty Resort before you enter the open sea to the Menjangan Island. So it's not only great place to eat, also an alternative place for you stay. For the food, I can say the served the best they can, and provide you with an options from Indonesian food (of course), western food, healthy food even something fresh like an afternoon tea snack & ala carte salad for lunch & dinner. 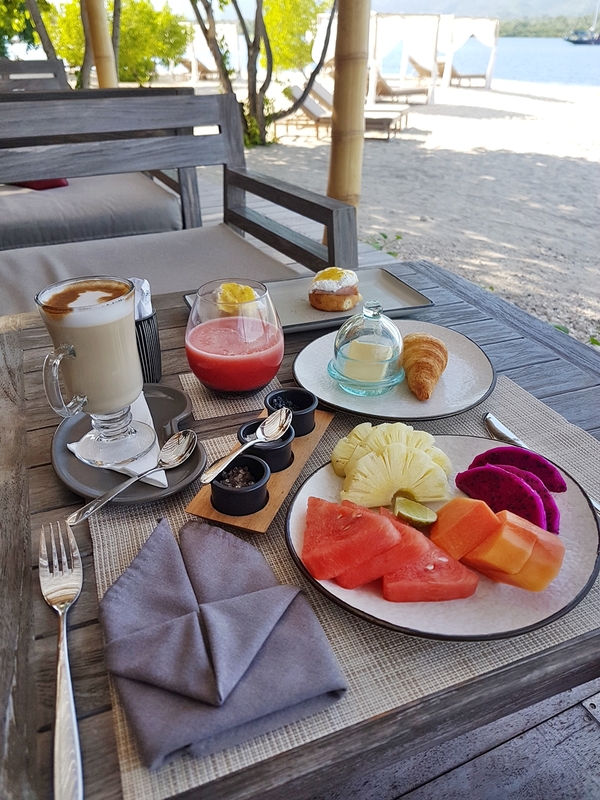 I mean the basic one is no problem, of course I can't compared it the breakfast menu in a remote resort like Menjangan Dynasty Beach Camp & Dive Resort and five starts resort in Jimbaran, as a pioneer of a beachclub in West Bali, they are excelent (9 pages of baverage menu? I know). Drink and enjoy, it will be an awesome experience! 9 Pages of baverage menu is including Cocktails, Mocktails, Detox Juices, Vermouths, Cognac's, Brandy, Tequila, Other Liquers, Scotch's, Bourbon, Spirits, Cofee & Tea, so I think it's a great place to drink and enjoy the night at remote location right? it's like small Padar Island in Komodo, but with drinks. The main course I choose is usually steak, but I think I need to try their Catch of the Day, which was a Marlin fish, nothing interesting because it's only simple grilled, but others menu such as soup, assorted Indonesian satay, chicken, beef and pastas, even beef rendang (CNN best food in the world) and Pad Thai. When I came here, there's only 3 types of desserts. I tend to close my dinner with a homemade ice cream, they actually is selling an ice cream, but not homamade, so I choose Panna Cotta instead and it looks such a beautiful desserts with edible flower petals (I mean it ate that anyway ;p). So overall it was such a lovely and quiet dinner in the remote restaurant in Banyuwedang bay, Pasir Putih Beachclub & Bar. "Menjangan Dynasty Resort is proud to present its signature ‘Pasir Putih Beach Club & Bar’. 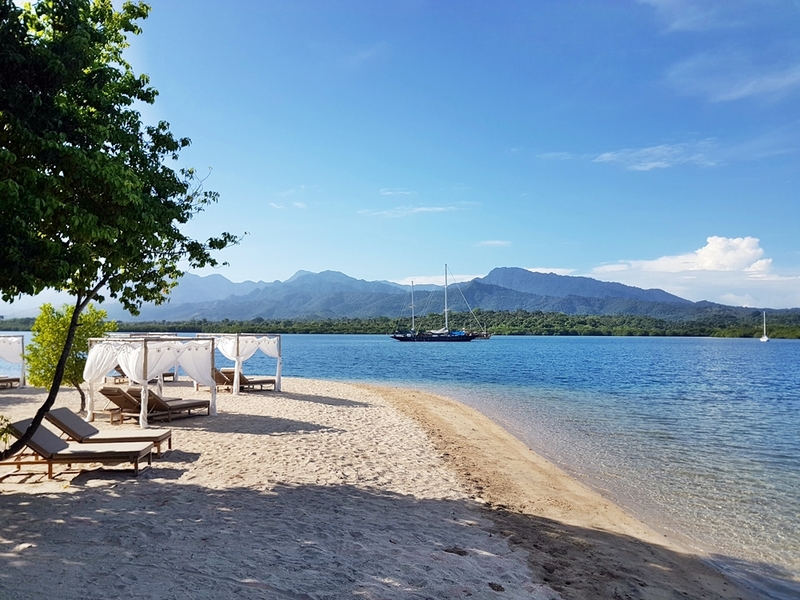 Open daily from 6.30am until late, the Beach Club welcomes walk-in visitors as well as guests of the tented resort at Banyuwedang Bay in Northwest Bali. Am trying to choose between Plataran Menjangan and Menjangan Dynasty. At Dynasty: do you think it will actually feel crowded if it is (almost) at full capacity? And which hotel is closer to the National Park? Which one is 'closer to nature'? 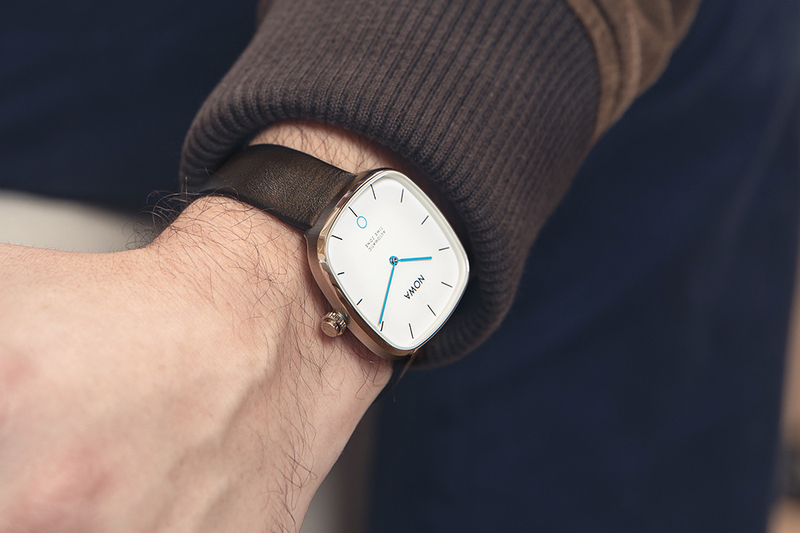 Would very much appreciate your thoughts, need to make a decision very soon! Thanks a lot, looking forward to your answer. Cheers!